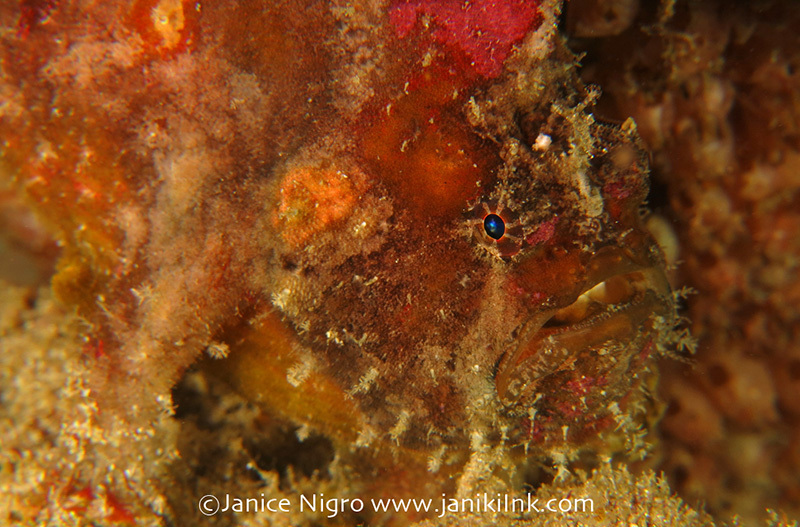 I felt guilty once as the only guest out of eighteen on a 12 day liveaboard who wanted to go on a night dive one evening. The dive guide said, “Let’s go!” and after that 90-minute one-on-one experience, I became hooked on night dives. It seems tough to beat the day dives on such trips, but night dives are an opportunity to do some serious critter hunting without a lot of effort. Simply put, things come out at night. My most recent series of night dives took place in three different underwater environments on a liveaboard trip through Northern Raja Ampat in Indonesia: a jetty, a traditional white sand muck site, and reefs/walls of small islands. Arborek Jetty is a classic site that nearly all divers visit before leaving Raja Ampat. In the daytime, there are plenty of reasons to explore way beyond the jetty (like, the giant clams). At night, however, time (and air) will run out quickly without even moving much from the jetty and the rubble patch underneath. Nudibranchs are prolific here, and their vibrant colors give them away in this landscape so that anyone can suddenly feel like an expert in spotting critters. 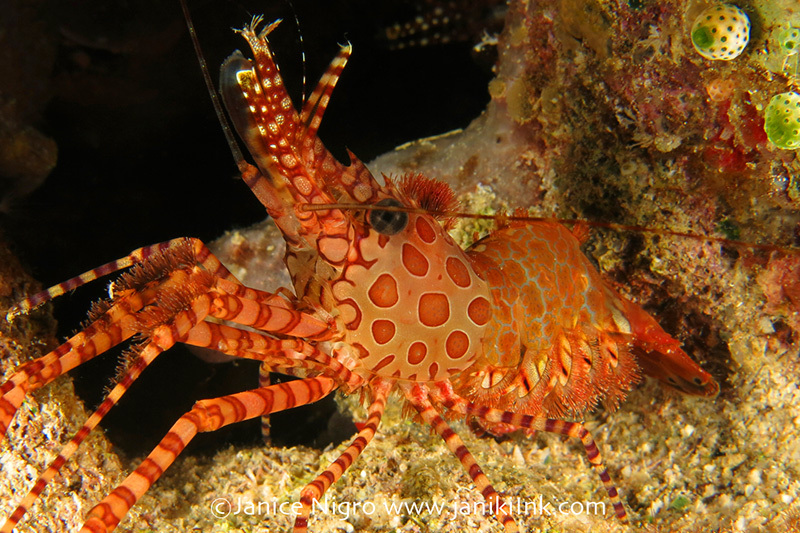 All photos were shot with a Canon G15 compact camera in a Nauticam G15 housing with dual Inon Z240 strobes. 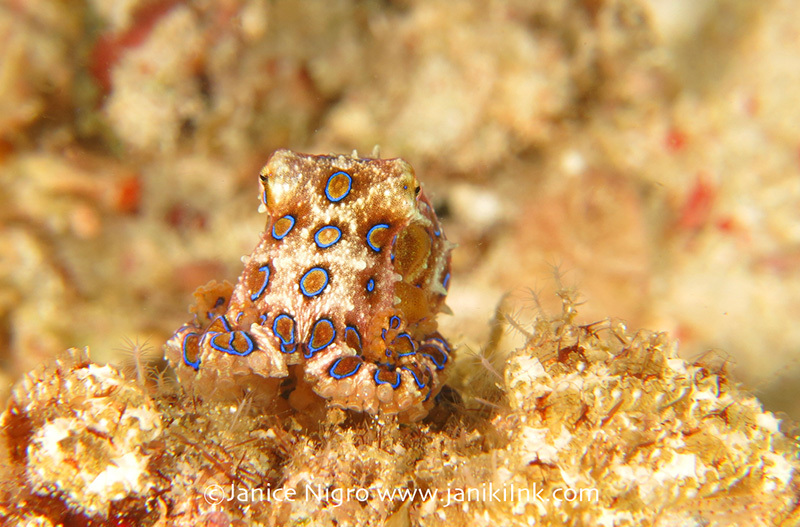 One of the critters I have never found on my own is the blue-ringed octopus, a macro creature that happens to be the most venomous on Earth. I have no idea exactly where you find them. I just know that it’s somewhere in the rubble, and that they are almost a sure thing to see at this site. Yes, within minutes of our descent, my guide pointed one out to me. Crabs, in my opinion, are the comedians of the marine world. They run around with flora or even fauna living on their bodies for camouflage, and might even be born to look that way. The crab of the evening looked like a tangle of chicken wire with eyes that could only be located after looking at the photograph. It took only a couple dives to discover that Aljui Bay competes with Misool in the south as a soft coral and color factory in the sea. It is a cozy spot on the Earth - a secluded bay where you are surrounded by walls of green-ness growing straight out of limestone. The only other evidence of the world as we know it is the pearl farm. We had three night dives around the pearl farm jetty. The area was an unexpected white sand desert in between the marvelous island walls covered with soft and hard corals that we viewed during the day. I was up to the challenge of finding anything, and soon a pair of flounder eyes peering above the sand gave me hope that there was more life to come. Someone else might have been hoping also. An enormous lionfish with a huge fin span that was either lonely or just attracted to my light (maybe both) started following me around. It was a little unnerving to have him follow me so closely (each night! ); not because I thought he would purposefully injure me, but injure me by accident, like he was the Edward Scissorhands of Aljui Bay. There were no bommies (and no garbage!) with which to orient ourselves at first - just the depth on our computers and the sand. Desperate, I saw a small log and without thinking about it, flipped it over. A cockatoo wasp fish was underneath! Why he needed to be under the log in the dark, I am not sure, but it was a good reminder to look and not touch underwater. Basket seastars were outstretched over some bommies, exposing their tiny shrimp. I marveled at how quickly they began to coil up in response to my light. One night we found a frogfish. You could tell he was a long term resident. He looked so much like the rock he was living next to that he made me wonder if I had actually seen him. At the end of each dive, a pair of Pegasus sea moths appeared. These creatures always come in pairs. They remind me of wind-up toys that move in one direction until they hit something and go in another. They do not seem to know where they are going, but wherever they are headed, they go together. 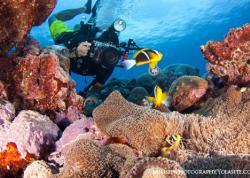 When you think of Raja Ampat, it is mostly the reef and wall scenes that come to mind first. The last several night dives all took place in sloping wall/reef environments. There were the things you might expect to see - a sleeping wobbegong, a cuttlefish - and then the things you might not expect, like a wide-angle-sized nudibranch, the Platydoris. My prize for diligently examining the reef at Mioskon was two gigantic saron shrimp. These are incredibly intricately designed shrimp with spots, hair, and long legs that they seem unable to control. This pair was quite large, but nevertheless shy (at least in the bright light). If there are lessons to learn on a dive, then this one was about how to locate animals by microenvironment. 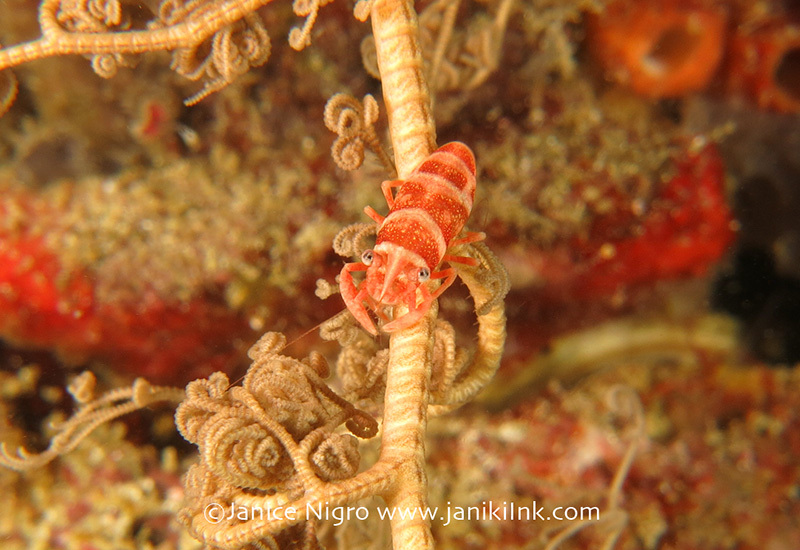 This dive was exceptional, one that even my Indonesian guide after seven years at the job simply stated, “I liked it too.” The mushroom corals contained pipefish and an ornate ghost pipefish was hiding near a crinoid. 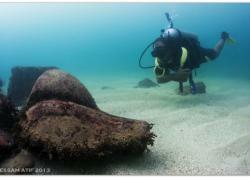 Sea cucumbers were like a city bus due to their size and their passengers: spider crabs, isopods, and even nudibranchs. When the crabs did not cooperate, I still came home with a photograph, but of the spectacular pattern on the candy cane sea cucumber itself. I also discovered that the hydroid is an important microenvironment. Nudibranchs, of course, we had found on hydroids. What I did not know, is that the hydroid is a habitat for skeleton shrimp. 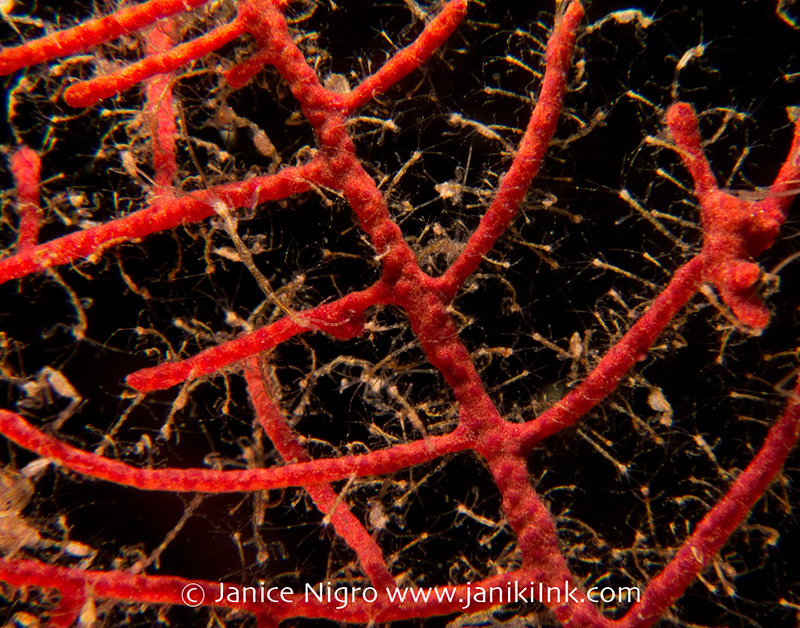 The hydroids in Batu Rufus were homes not to just a few skeleton shrimp, but thousands. I could almost hear them talking. You could fill up your critter check list at this site (in a little over an hour), and if you were not into that, you could spend your time examining the coral polyps open in the night. As if none of that was enough, something I had never seen before, a toadfish, made a brief appearance before us. They are apparently extremely shy. The toadfish that we had discovered behaved accordingly, as it unfortunately disappeared the moment we spotted it. After seeing all of this life in Raja Ampat after dark, we have to wonder what will happen in our dreams. 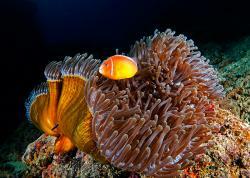 Want to dive Raja Ampat, Indonesia? Contact Bluewater Travel to book the perfect trip. 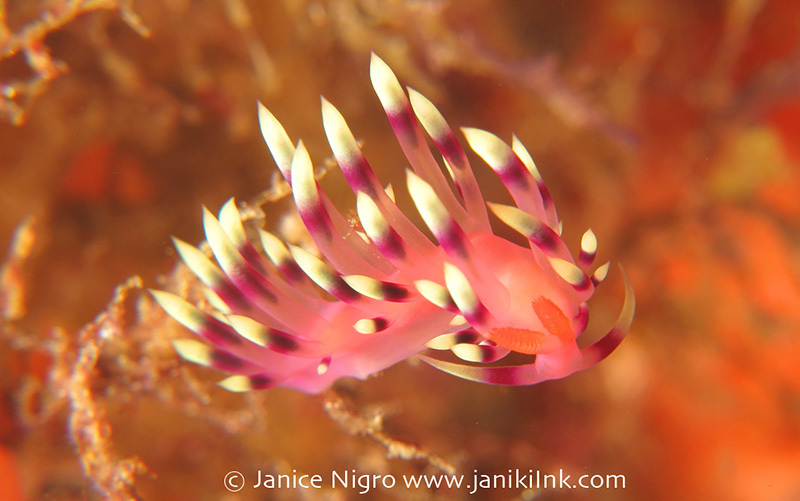 Janice Nigro is an avid scuba diver with a PhD in biology. She is a scientist who has studied the development of human cancer at universities in the USA and Norway. 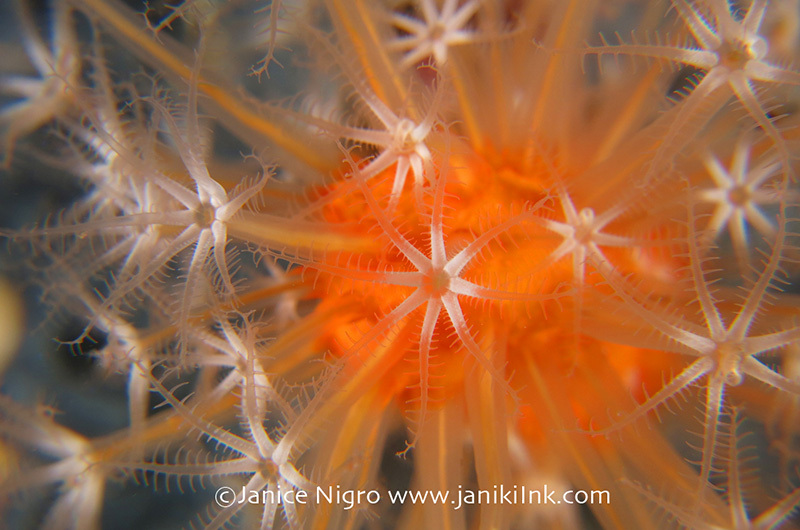 She has more recently discovered the benefits of artistic expression through underwater photography and story writing of her travel adventures (www.janikiink.com). Her current home is Hermosa Beach, California.